much of this was the appeal to the 8" line. 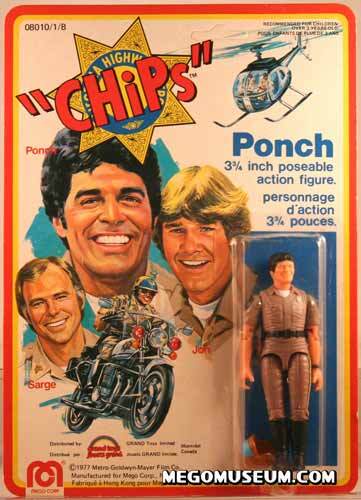 Carded Ponch, this is Canadian Grand Toys Card and is much more difficult to find, courtesy Craig MacKillop. 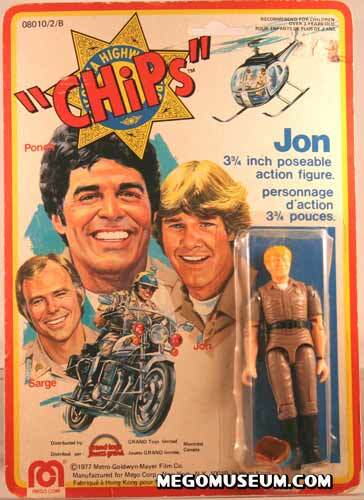 Carded Jon action figure, also on a Canadian Grand Toys Card, courtesy Craig MacKillop. 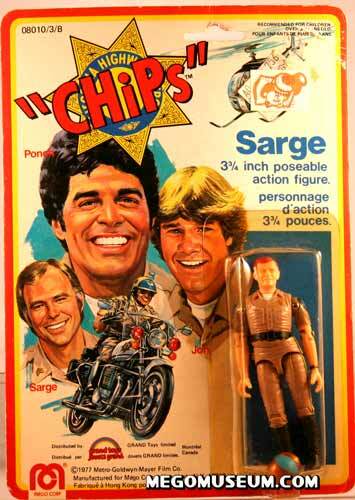 Sarge on his Grand Toys Card, courtesy Craig MacKillop. 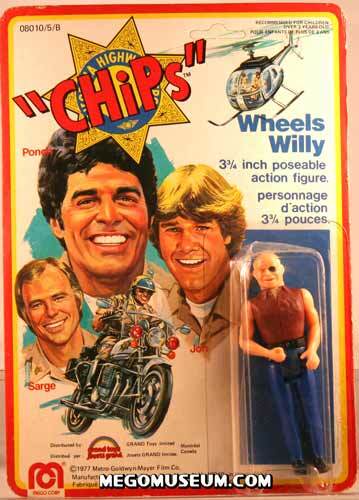 Wheel’s Willy never appeared on the series, he is a recycled CB McHaul villain, photo courtesy Craig MacKillop. 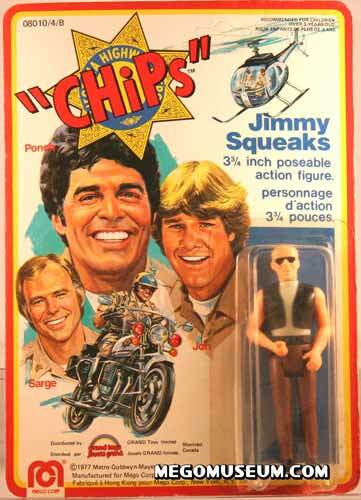 Jimmy Squeaks was another CB McHaul bad guy, Mego had also hoped to introduce Chopper into the 8″ line. 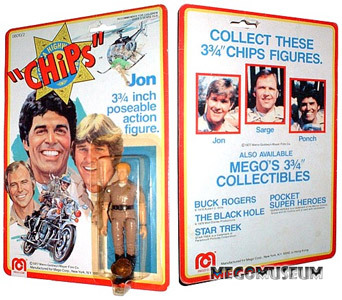 This is Canadian Grand Toys Card, courtesy Craig MacKillop. 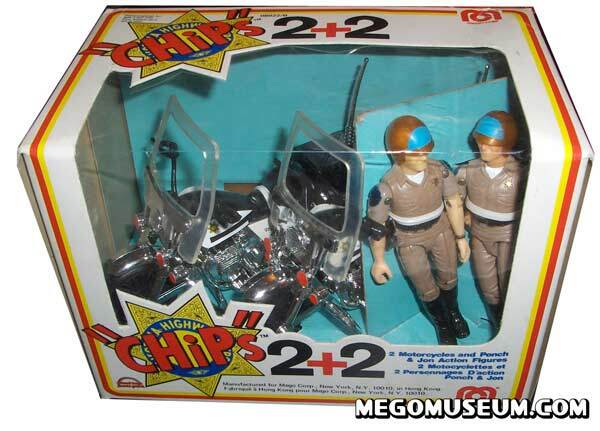 Very rare Grand Toys “CHiPs 2+2” pack sold only in Canada. Courtesy of collector Mark Schmidt. 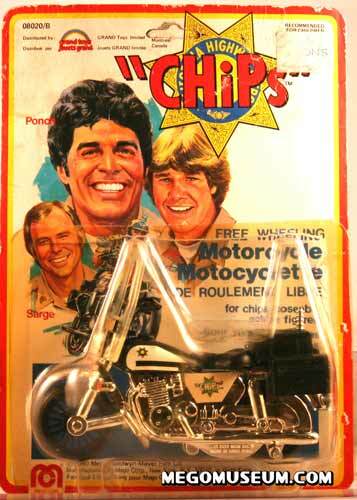 Carded cycle in Canadian Grand Toys packaging, courtesy of Craig MacKillop.